The most common cause of odor in all basements -- including finished basements -- is mold and mildew. The musty aroma can last for weeks after you have removed the offending fungus. Furthermore, the nose-wrinkling odor can drift up from your basement and fill your entire home with the unpleasant odor. Mold and mildew grow in abundance in dark, damp and humid locations. Basements with these conditions provide the perfect living and breeding environment for the fungus. The first step in removing the musty smell from a basement is to kill the growth causing the odor. Mix 1 gallon of cool water with 1 cup of oxygen bleach. Oxygen bleach is the safe alternative to chlorine bleach and will not damage or discolor surfaces. Saturate a scrub brush in the bleach mixture and begin scrubbing walls, floors and other surfaces with the solution. Let the mixture sit for 15 minutes before rinsing it clean with cool water. Several methods will successfully remove the musty smell from basements. Use the methods by themselves or together. Set several opened boxes of baking soda in the basement. Baking soda will absorb the musty smell from the air without using harsh chemicals. 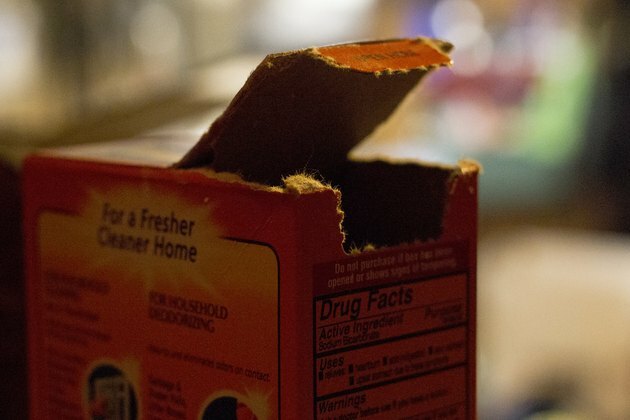 Replace the opened boxes of baking soda with fresh boxes once every 30 days. Placing bowls filled with either white vinegar or charcoal briquettes will also eliminate the musty smell in the basement. 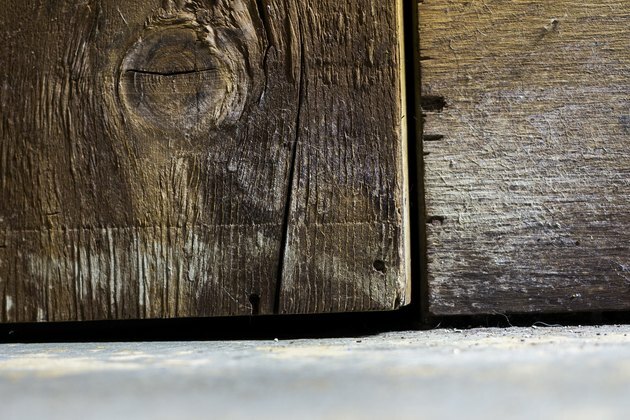 Dampen dirt basement floors with undiluted white vinegar. As the vinegar dries, it will remove odors and kill any linger fungus growing on the dirt floors. Open any doors and windows to the basement while running fans for several hours. The fans will help push the musty odor out of the area while the opened doors and windows will allow fresh air to circulate through. After you have removed the fungus and its accompanying odors, take the necessary precautions to prevent the odors from returning. Keeping your basement as dry as possible will go a long way in preventing musty odors. 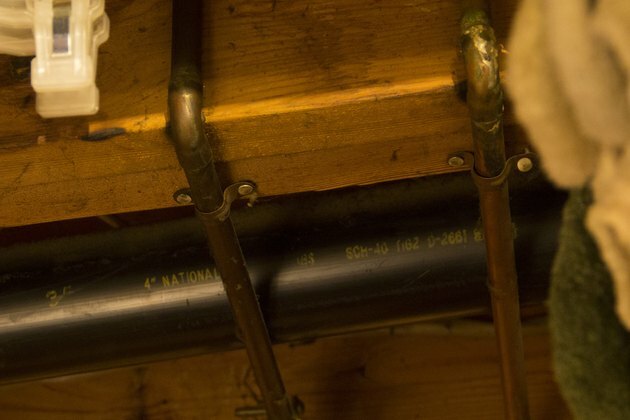 Fix any leaky pipes in the basement as soon as possible to prevent mold growth. Running a dehumidifier in the basement will remove moisture from the air and help reduce the chance of future fungus growth. Mold eats away at the surface it is growing on and can destroy it beyond repair. 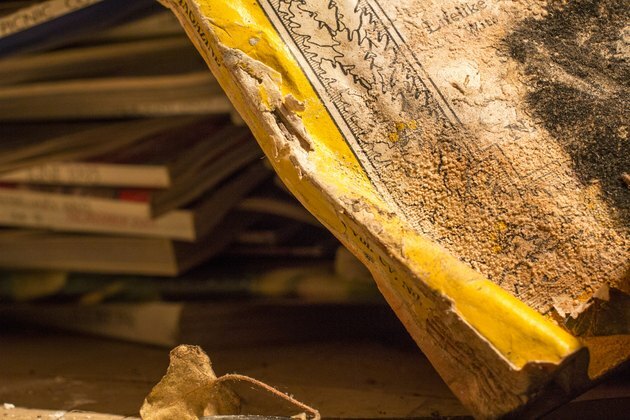 To prevent possible damage to items stored in basements, keep fabric items as well as paper, books and pictures in airtight containers. For safety precautions, wear a pair of rubber gloves, safety goggles and an N-95 respirator when removing mold from basements. Why Does My Basement Smell After It Rains?